Gorgeous Oasis model in Solera is a must see! Inside discover a bright and clean home. Elegant plantation shutters and decorative ceiling fans. Tile and carpet in all the right places. Kitchen boasts white appliances, plenty of cabinets, lighting, pantry. Great room & kitchen have vaulted ceilings.Master bedroom features spacious room w/master bathroom & large walk-in-closet. Low maintenance desert landscaping. Laundry has cabinets above. Garage has built in cabinets w/tons of storage space. 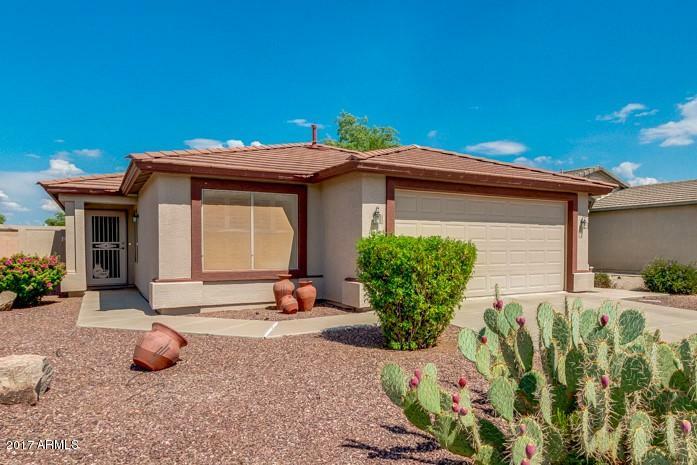 Enjoy this active 55+ golf course community today!